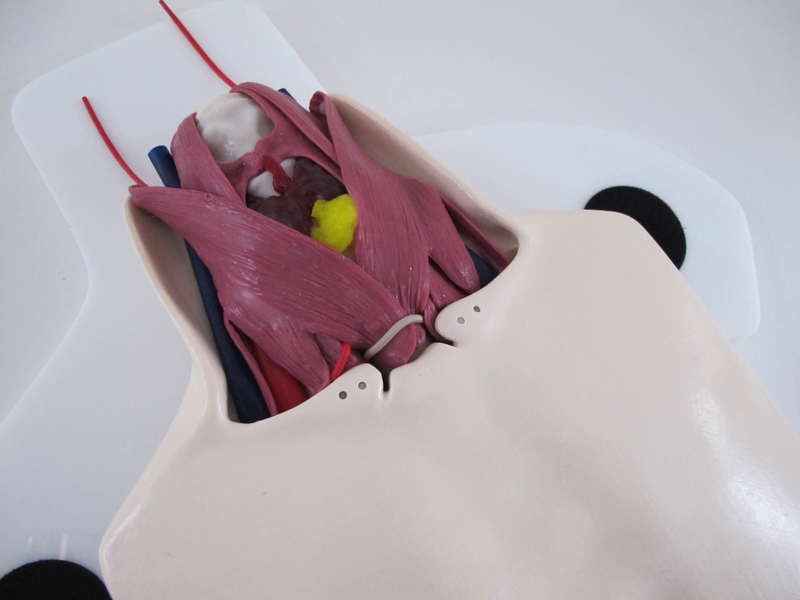 This thyroidectomy model consists of skin, neck muscle, thyroid and parathyroid glands. The position of upper torso’s neck is stretched and expanded by gas injected from the endoscopy which is inserted from the breast and armpit. 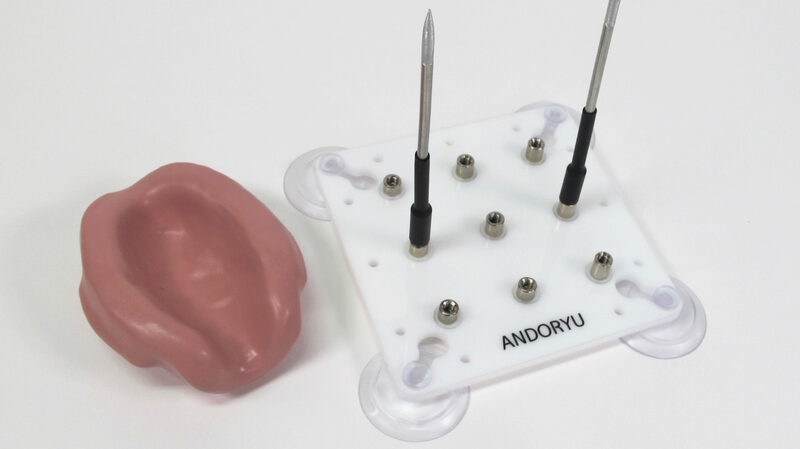 There are 4 openings for endoscopic insertion on the skin. 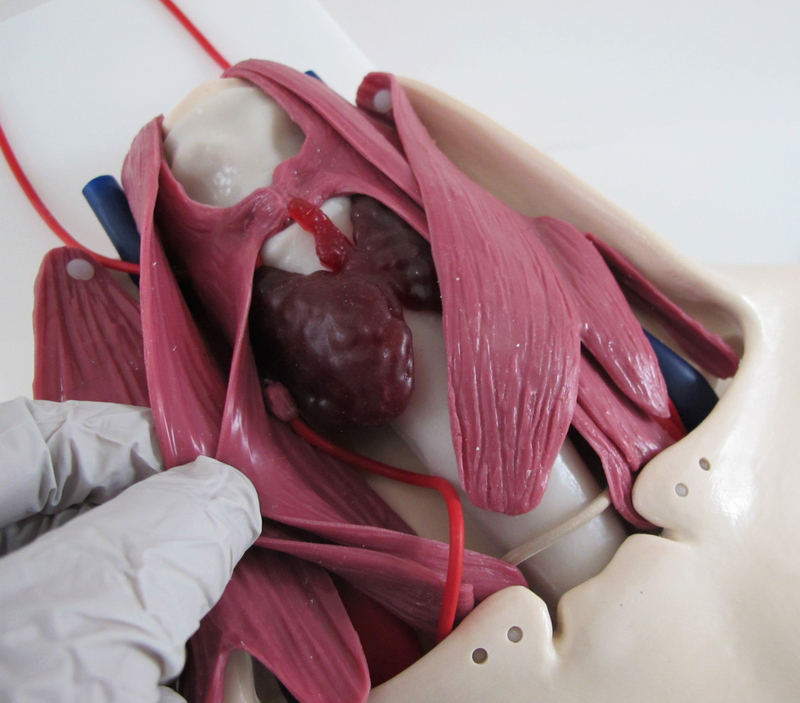 You can practice thyroidectomy procedure from insertion to removal of endoscopy. 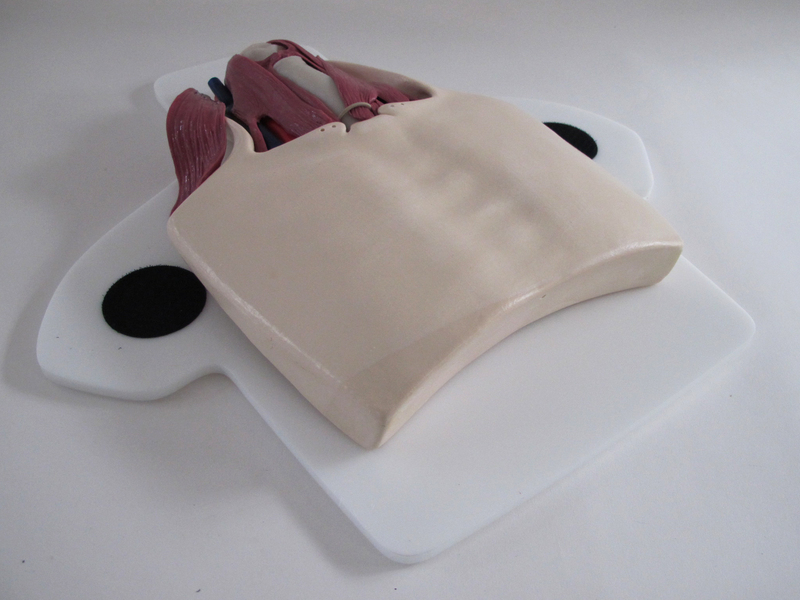 With the replaceable thyroid model which has parathyroid glands, you can reuse the torso repeatedly.